One of the biggest factors affecting whether or not Uber stock will thrive after it hits the market is the company's growth in China. Uber has already said that outside of the United States, China will be its most important market moving forward. China has a population of 1.36 billion people – more than four times the U.S. population of 319 million. Uber's ride sharing competitor Didi Kuaidi already books more than 7 million rides per day across China. Uber CEO Travis Kalanick has previously said the company would be investing roughly $1 billion in China in 2015. But the Chinese government just announced new regulations that could increase the cost of Uber rides in China. 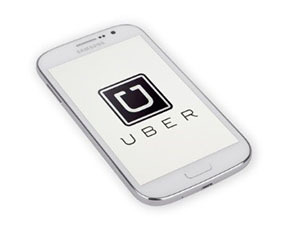 The Chinese government released a draft of new regulations for Uber this past weekend. The biggest regulation is that all Uber drivers must obtain taxi-like licenses. The regulations will also require Uber to set up local offices for its business and house Internet servers in China. Uber responded to the draft saying it "demonstrates [the] government's recognition and support of online car-hailing services." The draft is open for public comment for the next month. Since Uber is relying on China to drive future growth, the company might not fight back like it typically does against local jurisdictions and the taxi industries. Uber has faced regulatory issues around the world, like its driver contract dispute in California and its licensing issue in Germany. Should I Buy Uber Stock After the Uber IPO? Uber is the highest-valued startup in the world right now. At a $51 billion valuation, it is easily bigger than the Chinese smartphone maker Xiaomi Inc.'s $46 billion. Uber has already raised more than $7.4 billion in equity funding since its founding in 2009. When the Uber IPO date arrives, there is no doubt that the initial public offering will be one of the largest stories of the year. But does that mean you should buy into Uber stock?